The work of Karl Hans Janke, troubled visionary: 'Even in the psychiatric department in the romantic Hubertusburg near Leipzig a man is thinking in such a way : Karl Hans Janke, a patient with unquestionable technical talent, sees himself as an artist and a technical designer. From 1948 until his death in 1988 he created about 4.000 works � for instance paintings and models of strange spaceships,' part Stanford Torus, part Dan Dare. An entire book on Janke's work (in German) is available here (pdf). 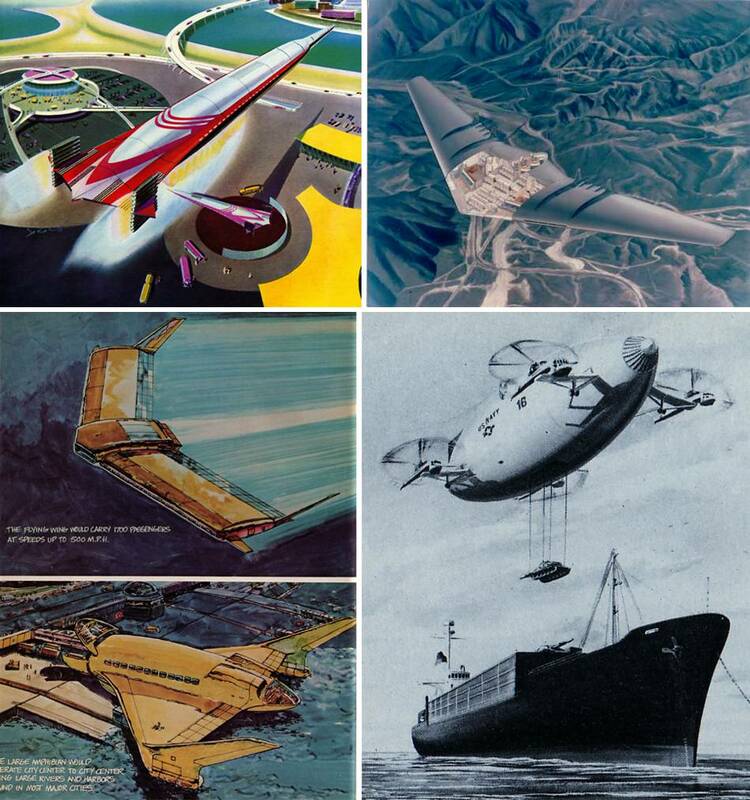 These were the imagined aerial behemoths of the future, atomic power in the air (at Fabio Femino's expansive website) / a selection of skinny Japanese houses at eye candy / amazing urban landscapes used as background art in the film Tekkon Kinkreet / Rudy Burckhardt's Maine, photographs / a selection of Braun electronics / a new way of cook ing the books / a set of abandoned swimming pools / art by Gigi Scaria. London Smog, a weblog / Slack-a-Gogo, a weblog / fallslikesnow, a weblog (thanks) / the Librarians' Internet Index / doombot, a weblog / Japanese kids learn about Corb, at Atelier A+D / the iPhone-optimized Japanese-English Dictionary at U.S.Knitting. Thoughts on the iPhone? (only lately arrived on these shores) It's beautiful, tactile and utterly seductive, and makes the Nokia N95 feel like a galumphing clod of earth. And yet. It's really not there yet. Live mp3s available at The Ultimate Bootleg Experience / work in progress at Archikubik, including today's cover image but larger. See also the Window Seat Europe book and how to take pictures from your window seat / Polaroid Transfers and Emulsion Lifts by photographer Hilary Hitchcock, via Bouphonia / automatism, a weblog / CubeMe, a weblog tracking the deluge of proto-modern design, flooding across the networks / a bit more on Mark Power's photo essay 26 Different Endings, at the geographical limits of London's A-Z.